Many people who enjoy adding new Koi fish to their Koi ponds enjoy looking for beautifully colored fish that will stand out within their pond. For this reason, Asagi Koi have become a popular favorite among collectors and amateur collectors alike. This variety of Koi definitely adds some incredible color to any pond. These are one of the most spectacular types of Koi that you will find. Most breeders today are going to argue that the Asagi Koi is definitely one of the best varieties of Koi out there today. The entire belly and back is usually an incredibly bright blue color and sometimes this color will also be on the gill covers and the fins. There are lovely red markings on the undersides of these fish, which helps to compensate for the lovely bluish color that is found on the lateral line of these fish. The scales on the Asagi are also reticulated, which means that they look like they are a net. When it comes to the main coloration of Asagi Koi, you’ll find that the lovely blue is the dominant color. It goes above the fish’s lateral line. There must be a bit of red coloration on these fish on their underside as well. Sometimes a bit of red may be on the mouth, gill covers, or even on the fins as well. Depending upon the bloodline of the specific fish, the variation of the blue gray or dark blue coloring can vary quite a bit. Usually breeders prefer the bloodline that offers the lighter blue color, which is preferred because of the breathtaking color pattern it offers. 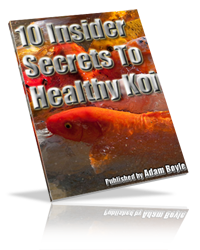 You’ll find that the Asagi Koi are to have a specific pattern to them. In order to accent the fish, they must have some of the red coloration. The scales of the fish, which are blue, should be lighter around the edges so it makes the scales have the netting pattern. The better the netting look is on the Asagi Koi, the more valuable and desirable it is going to be. If the pattern has some imperfections to them, then the fish is not worth quite as much money. If you want to choose a beautiful Asagi Koi to put in your own pond, there are several things that you’ll definitely want to consider. First, you want to take a close look at the body netting on the fish. If the Koi you are looking at is still young, this netting should appear to be fairly light. However, it will darken up as the fish grows older over time. Another thing to look for is the perfect color of the fish as well. These fish should have a lovely blue color that is nearly indigo. You will want to look for netting patterns in even rows on Asagi Koi too. This is easy to determine. Simply look at the scales. If there is no pattern on the back, it should be very easy for you to see that. If the young Asagi you are looking at has grin scales, you want to avoid buying it. These scales aren’t going to go away until they are much bigger, so it’s best to avoid them. Take a look at the nose before buying as well. The best Asagi will have a nose that is whitish and clear. Don’t forget to look at the pectoral fins to see if there is the nice red coloring on them like there should be. This area should be mostly or even all red. As the Koi grows, this will lead it to turn into a great Motoaka. However, if you’re looking at the tail, it can be clear or there may be just a bit of red on the tail as well. 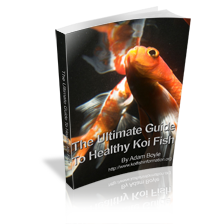 Before you go out to purchase your Asagi Koi, it’s a good idea to do some more research. Learn everything you can about their patterning and coloring so you know exactly what to look for when you are ready to make a purchase. When you invest in a lovely Asagi, you are sure to enjoy these fish and all the beauty that they add to your Koi pond.